Are you searching for a quote for your towing insurance? Don’t get 1 quote, get 3! To get the best deal on insurance for your wrecker, you need to shop around. We can help by bringing you 3 agents to compete for your business. Just fill out one quick form on our site. In this installment of our Commercial Tow Truck Owner’s 101 Insurance Guide, we’re going to walk you through some of the key points you need to know to properly insurance your commercial tow truck business, starting with the most obvious insurance coverage, your commercial auto liability. Read through all of our coverage articles and arm yourself with knowledge to take an active role when shopping for your next policy. 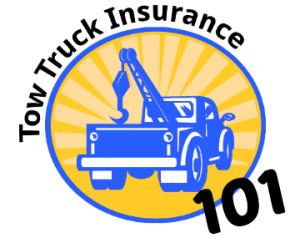 What is commercial tow truck auto liability insurance? Your commercial auto liability for your tow truck business protects you from being held liable for any property and bodily injury damages caused by your vehicle, or any tow truck registered to you or your business. Bodily injury liability. Provides coverage for any damages you or your employees cause to other people. Coverage limits up to $1,000, 000 are typically available. Property damage liability. Provides coverage for damages for which you or your employees are found responsible. Medical Payments. This coverage takes care of the medical expenses for you or any passengers in your tow truck in the event of an accident. Owned: Vehicles that have the business name on the title. Non-owned: Vehicles that are owned by an employee and used some or all of the time for business purposes. Hired: Includes vehicles that you rent, lease, or borrow. Uninsured/Underinsured Motorists – When another motorist damages your tow truck and has no insurance, or has very low policy limits that are not enough to pay the claim. Comprehensive – Coverage if your tow truck falls victim to theft, vandalism, or is damaged by severe weather. Collision – Best case scenario, you hit a curb and damage your tow truck. Worst case, you overturn your tow truck. Collision coverage helps you pay the auto shop bill. Garage keeper’s legal liability insurance. Provides coverage for damages to a customer’s vehicle while it is parked at your garage or repair shop and under your businesses care, custody, and control. On-hook coverage. Provides coverage for damages caused to a customer’s vehicle by fire, theft, collision, explosion, vandalism, or collision while it is being towed. Physical Damage coverage. Covers your tow truck in case it’s damaged regardless of who’s fault it is. Failure to carry generous liability insurance on your tow truck could cost you hundreds or thousands of dollars, or even put you out of business. For example, imagine being involved in an auto accident and the vehicle that you are towing skids into school bus injuring everyone on board. Your business would be responsible for paying all the medical expenses and property damages. Most commercial tow truck insurance liability limits start at $1M, but can go as high as $2M. If you’re presented with an option, go with the highest limit available. In addition, ask your agent about a commercial liability umbrella that can provide you even more protection, often at a very reasonable rate. Who needs commercial towing insurance? You’ve worked hard to build your commercial tow truck business. The fact is, it could take just one claim to shut you down for good. Your insurance agent is the ideal person to advise you on where your exposures lurk and to provide you with the best policy limits based on your individual exposure. At Tow Truck Insurance HQ we’ll help you find the best deal by bringing you 3 agents to compete for your policy.